How can pain science objectively know pain experience when it is subjective and private? Viewed as a puzzle about pain research methods, I make the pragmatic point that pain science has for decades used established objective methods to generate powerful data about the subjective dimensions of pain experience. However, as important as these methods are for our understanding of pain, they alone cannot describe subjective pain under the fluctuating conditions of everyday life, especially chronic pain, or provide a research strategy to model pain-brain relationships. I propose that an integrative research line I label "Subjective-Neuroscience of Pain" can address this research challenge and silence the puzzle via three main research activities: (1) using "subjective research methods", such as the Experiential-Phenomenological Method, describe subjective pain experiences, especially chronic pain experiences; (2) using relevant objective neuroscientific procedures (e.g., neurofeedback), relate subjective pain descriptions to brain activity; and (3) develop an online repository and archive for the storage and sharing of subjective pain data and painbrain data. 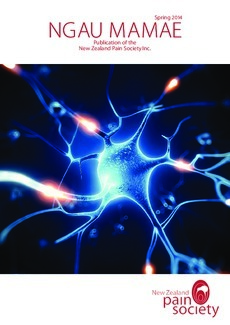 The confluence of these activities within "Subjective-Neuroscience of Pain" may uniquely contribute to the understanding of pain.